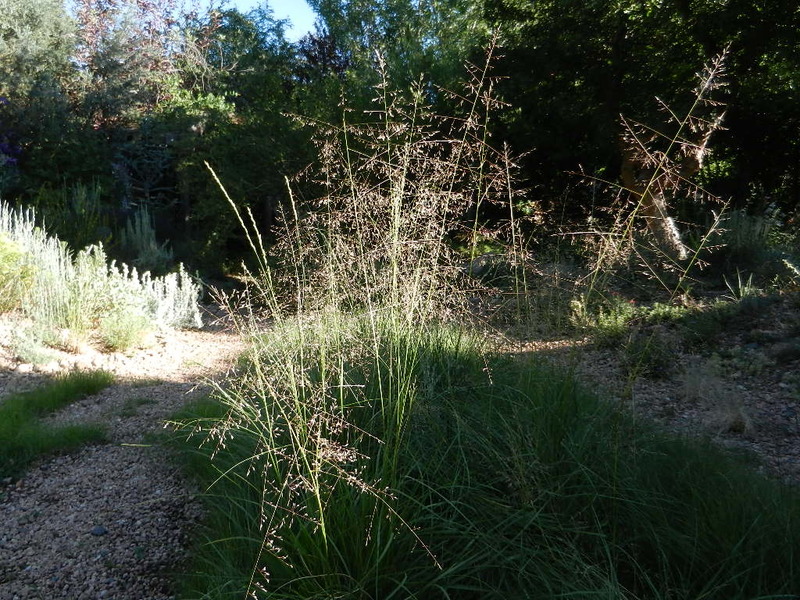 Alkali sacaton, Sporobolus airoides, catching the first sunlight, rising out of a sea of blue grama (Bouteloua gracilis), in the part of the new lawn I put in last year. It could have been a better photograph but some of us just woke up. This entry was posted in Uncategorized and tagged alkali sacaton, Sporobolus airoides. Bookmark the permalink.